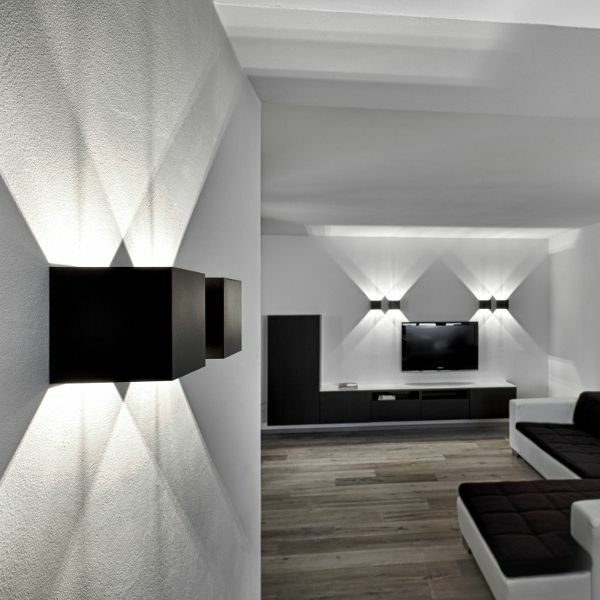 Product information "Dice Wall 120 LED Wall sconce"
The Dice Wall 120 LED wall lamp is produced from the Austrian manufacturer Prolicht. Due to its reduced design and a variety of available colors, the light inserts to almost any room. In addition, this LED version is especially energy-saving and durable. The light is emitted directly upwards and downwards. Dimensions in inch (WxHxD): 4.72" x 4.72" x 4.72"
Related links to "Dice Wall 120 LED Wall sconce"